Despite my feelings about having a male speaker at the Women’s Session of General Conference, I admit that I’m always happy to hear from President Uchtdorf. He is one of the few general leaders that make me feel like there is still space for me and his words generally help me feel the spirit and God’s love. President Uchtdorf gave a fairly standard faith talk for this weekend’s Women’s Session with a few important moments that personally stuck out to me. The first highlight for me was his stated audience for his sermon: those who struggle with fear and doubt. As somebody who wrestles with faith, I really appreciate when one of my pastoral leaders will speak directly to me. Sometimes I think it’s easier for leaders to ignore people like me–active members who can’t claim any particular confirmation of their faith despite their best efforts. I recognize that my experience provides a counter-narrative to the one that leaders tend to present and so it’s easier to pretend that it doesn’t exist. All this to say, I was happy to hear President Uchtdorf make this announcement and acknowledge that many people struggle with faith. One thing that I love about President Uchtdorf style of ministry is his use of accessible stories to teach us truths. The story of the little girl imploring her grandmother to “listen harder” worked for both me and my 8 year old daughter. It successfully taught us the incredibly valuable lesson to “listen” in whatever way works for you and not judge those who have a different style of listening. I also really enjoyed the story of young Harriet Uchtdorf’s conversion to the LDS faith. While I would have preferred to hear more about what that process was like for Harriet, the image of being diligent and knocking on every door until the very end is both powerful and useful advice. 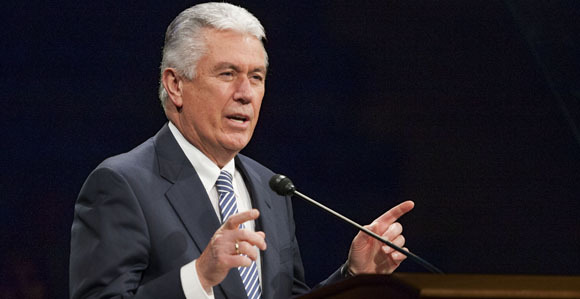 By no means was this a groundbreaking talk but it continues in President Uchtdorf’s pattern of giving simple sermons that are inclusive and affirming. I found his steady optimism about the gospel, members of the church and the state of the world to be refreshing after the doom and gloom from President Oscarson. President Uchtdorf’s faith and trust in God’s wisdom and love is one I share and is a message that I never tire of hearing. Thanks for this rundown, mraynes. I have a soft spot for Dieter — though I too wish no males at all spoke during this meeting. Good for him for addressing doubters! My sister is inactive and I remind her (occasionally) that she is missing some good stuff. Especially Pres. Uchtdorf! Yep! President Uchtdorf and our hymns are my saving grace. Thanks for the comment! Doubts are only really a problem if they cause us to stop looking for truth. 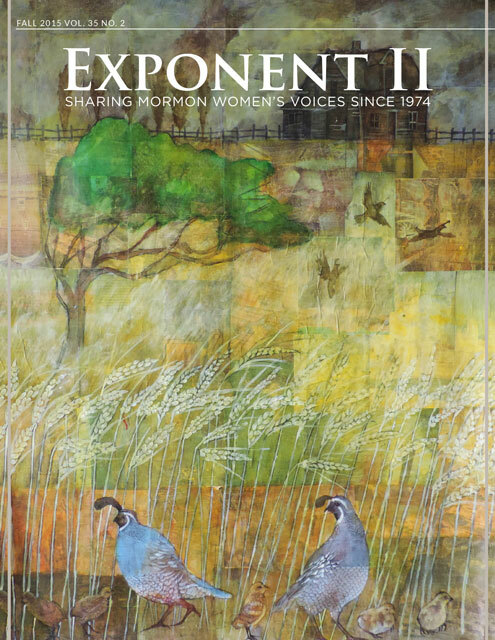 Doubts drive inquiry, and inquiry drives faith. Only when we accept the doubts as fact are we in trouble. Also no one does everything that we are asked to do fully. So if we concentrate on all the things we don’t doubt, and do them to the full, then hopefully this will bring us close enough to the Lord to examine the doubts we have with His arms firmly around us, in a place of safety. I was reminded many times Enns recent book (The Sin of Certainty) on certainty during this talk- Enns writes at length about redefining “faith” as “trust” instead of “knowledge”. I wonder if the Silver Fox read it?